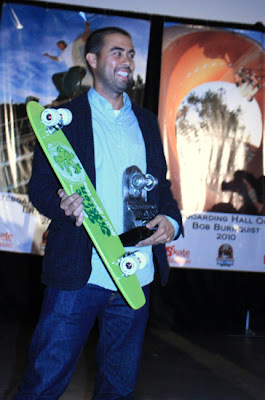 Eric Koston was born on April 29, 1975 and grew up in San Bernardino, California. Eric Koston's father, Bob, was in the air force in Thailand when he and Eric's mom (Wanida) met. Born in Bangkok, the family moved to the states when he was 9 months old. He began skating in 1986 when his older brother, Chris, gave him his first skateboard. Eric later went to a skate camp in MI, and met Eddie Elguera. This is where Eric realized his potential as a professional skateboarder and still remains a very active (goofy) skater to this day. He was first sponsored in 1991 (with Girl Skateboards, eS Footwear, Fourstar ) and turned pro in 1993. Eric Koston is a fearless skater: he has technical skill combined with the willingness to try out new, untested tricks in the middle of a competition. Eric Koston is one of the few very successful pro skateboarders who retains his reputation for throwing everything he's got into every competition he comes across, be it the X Games, or Koston's famous games of SKATE. Eric Koston's signature trick is the K-grind, or crooked grind. Of course, the K is for Koston. Though he didn't invent the trick, he was the first person to show it to the world in a video. Eric Koston has a battery of other tricks that he has invented, such as the banana bunny grind and the fandango. The list of contest thats he won of are impressive: the Globe World Contest, X Games and Gravity Games (2000), TransWorld Skateboarding Best Video part for his segment in eS Menikati (2001), gold in Gravity Games Street (2002 ), gold in X Games Street competition (2003) , Listed in Thrasher's “15 Most Loved Skaters of All Time” (2005). 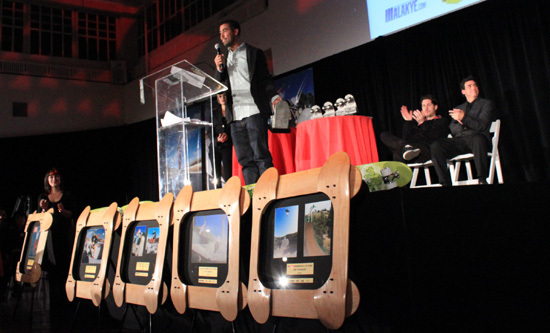 He has been featured in the "Tony Hawk" game series, and "EA" Skate 2 and Skate 3. 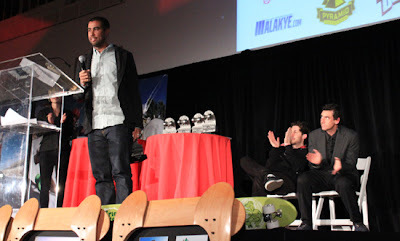 Koston co-owns Fourstar Clothing and also Co-owns the Skatepark "The Berrics" with professional skater Steve Berra. Eric Koston is currently sponsored by Girl Skateboards, Independent Trucks, Spitfire Wheels, Nike SB shoes, Four Star clothing, and Jessup Griptape. Koston has had many other sponsors over the years such as éS and Lakai Footwear. He has made many pro models such as the Lakai Koston select and the éS Koston 3's. He is considered by many some kind of Michael Jordan of street skateboarding.